What's better than a steaming hot caffeinated beverage first thing in the morning? A steaming hot caffeinated beverage in a really gorgeous mug, that's what! 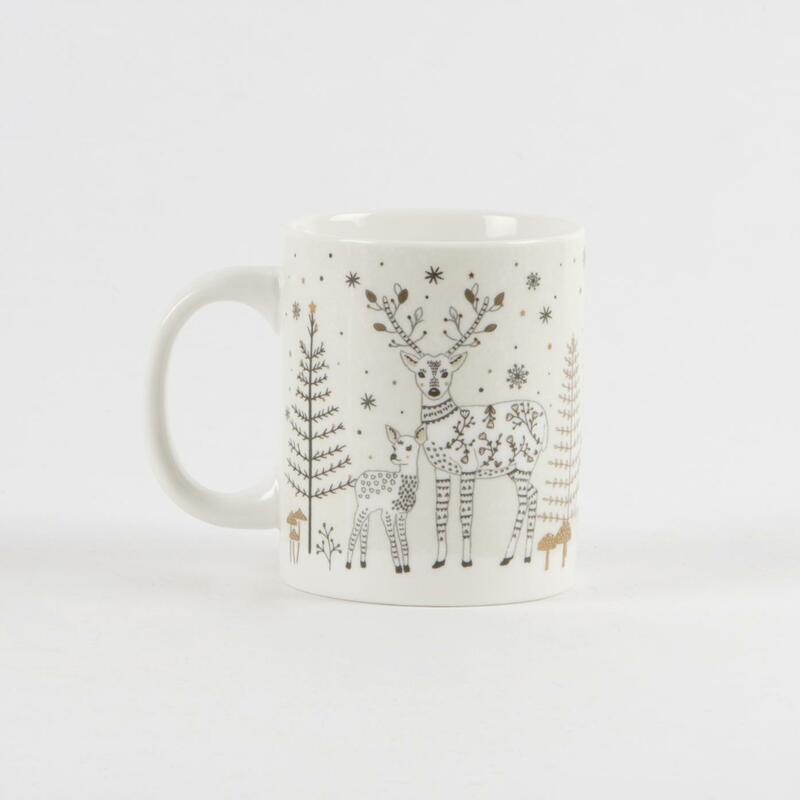 This winter scened mug by Sass & Belle is just so pretty, with its folksy forest design and metallic accents. 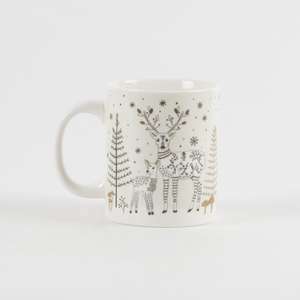 It's perfect for a steaming mug of hot chocolate by the fire and it would make a pretty fab Christmas gift. These mugs are made from ceramic and are dishwasher safe. They are packaged in an attractive gift box.